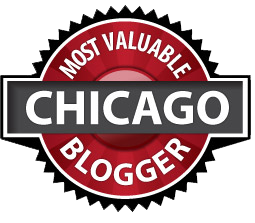 I have just heard that Return to Sunday Supper is one of the finalists in CBS/Chicago’s “Most Valuable Blogger” contest in the Family/Lifestyle category. Wow! I entered a few weeks ago and I’m really honored to be one of the finalists. What this means to me is a validation of the message of my blog. More and more of you are realizing the importance of eating dinner with your family and friends (without the aid of cell phones and computers). You are making it special… perhaps by making someone’s favorite dish, or putting a few flowers from your garden on the table or just lingering over dinner, savoring every minute of the conversation. Or maybe you had to get carry out, but you put it on real plates and used real cutlery and glassware, because you didn’t have time to cook, but you wanted to sit down to a meal with your family. This blog is not about making fancy dinners, although we all sometimes like to do that for a special occasion. It’s really about the effort of spending time with your family and friends. So please, don’t beat yourself up if you have to rely on some prepared food when you are cooking…none of us can make our own pasta, sauce, or salad dressing all of the time, but we still can add a bit of love and turn it into a good dinner. The new design of my blog is almost ready and you will (hopefully) see it unveiled this week. Till then, please validate the message of Return to Sunday Supper by voting…you can vote once a day! Congratulations on your nomination! I am voting for you!